His family tells Oregon Public Broadcasting that he was legally blind and taking medication for bipolar disorder. Local authorities have identified the man who was shot to death during a confrontation with Portland police. 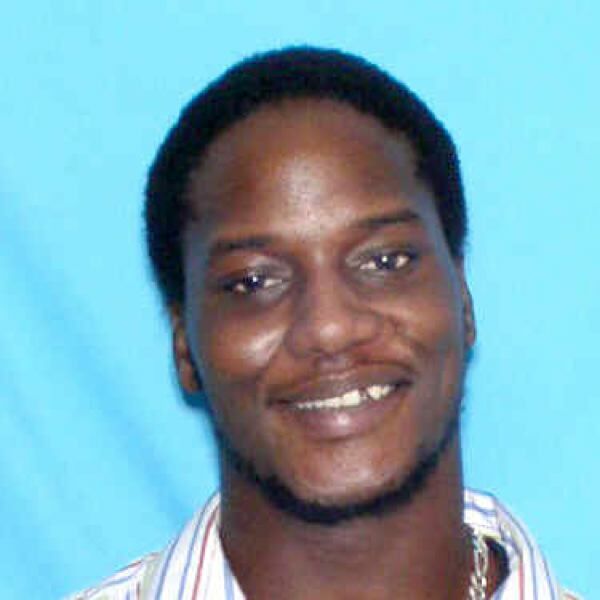 Andre Catrel Gladen, 36, died at the scene of a shooting in the 9600 block of Southeast Market Street on Sunday, Jan. 6. "Gladen died of injuries suffered as a result of gunshot injuries," according to a news release. "Toxicology results are pending." Gladen listed his address as a downtown Portland homeless shelter in court records filed in 2015. Gladen's family told Oregon Public Broadcasting that he was legally blind and taking medication for bipolar disorder. Portland Police have released more information regarding a fatal shooting in Southeast Portland. Authorities say Officer Consider Vosu — a one year and 11 month veteran of the force — shot a 36-year-old man at a residence near the 9600 block of Southeast Market Street on Sunday afternoon. Police say a person inside the home called 9-1-1 and reported that the suspect would not leave the property after being asked. Police say the suspect, who has not yet been identified, made their way inside the home. "The officer, the resident and the suspect were inside the residence when the shooting occurred," according to a news release. Police say Officer Vosu used his Taser during the encounter but it was "not effective." Vosu then opened fire, killing the suspect. Police have recovered a knife that they say was found inside the home. Witnesses told KOIN 6 News, the Tribune's media partner, that the man was armed with the knife. After the shooting, the officer called for back-up and emergency first responders. EMTs transported the alleged intruder to the hospital, where he was declared dead. Police say the investigation continues, and that the name of the suspect will be released after family notification. A man died after being shot by Portland police Sunday afternoon in Southeast Portland. 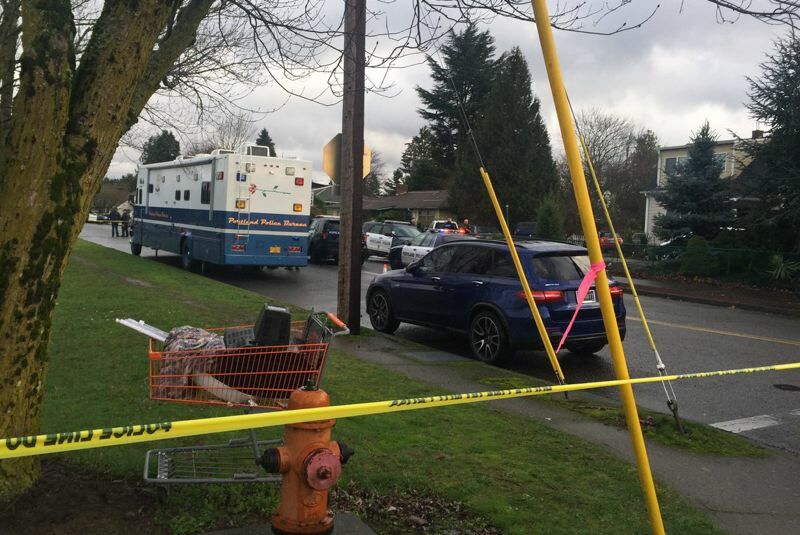 The shooting happened in the area of Southeast Market Street and 92nd Avenue just before 3 p.m. One neighbor told KOIN 6 News the man was lying in the entryway to someone's home before the police were called. A witness said an officer shot the man inside another home after he pulled out a knife, refused orders to drop it, and advanced on the officer with the knife. [The] police officer said 'You need to stop or I'm going to tase you.' The police officer warned him 5 or 6 times...he never listened and three gun shots went off," said Desmond Pescaia, who told KOIN 6 News he witnesses the confrontation. The man was taken to an area hospital, where he was declared dead. The incident was the second Portland officer-involved shooting in three days. On Jan. 3, Officer Onest Robert fired his gun when a woman advanced on him with a knife during a domestic violence call. No one was injured, and Anita M. Ruiz, 34, was lodged in the Multnomah County Jail on charges of menacing and unlawful use of a weapon. The Portland Police Bureau Detective Division's Homicide Detail, Training and Professional Standards Divisions, as well as the East County Major Crimes Team, City of Portland's Independent Police Review, Multnomah County District Attorney's Office, and the Oregon State Medical Examiner's Office continue to investigate this afternoon's incident that resulted in an officer-involved shooting. According to police, the incident started at 2:03 p.m., on Jan. 6when East Precinct officers responded to the report that a person at a residence in the 9600 block of Southeast Market Street who refused to leave the property. At some point after the officer arrived, the officer contacted the person. A short time later, the officer broadcast that he had fired his duty firearm. The officer requested emergency medical personnel to respond. Officers provided emergency medical first aid prior to emergency medical personnel arriving. When emergency medical personnel arrived, they continued to provide the person with emergency medical aid and transported him by ambulance to a Portland hospital for treatment. Once at the hospital medical personnel determined the suspect was deceased. "As with all officer-involved shootings, we are committed to a full investigation," Chief Danielle Outlaw said. "A loss of life impacts us all and I know we all immediately search for answers. I ask for patience as we continue our investigative process and then release information as soon as it is appropriate." KOIN 6 News is a news partner of the Portland Tribune. This story will be updated when more information is available.